The CAS-1 audio system featuring dual-amps and separate speakers accurately recreates original sound spaces for immersive High-Resolution Audio experiences through speakers or headphones. Every subtle note of your favorite music fills your space in exquisitely rich detail, even at low volumes. Also, you can enjoy easy high-quality Bluetooth audio streaming1 from your devices. The CAS-1 High-Resolution Audio system with built-in dual amplifiers3 accurately recreates original sound spaces through stereo speakers or headphones for immersive experiences. Experience especially rich sound spaces, accurately recreated within 75 to 200 cm of the separate speakers. 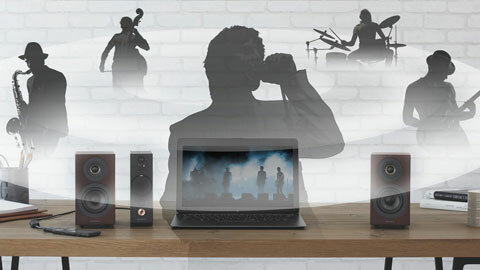 Experience your music with live performance richness through stereophonic sound reproduction that recreates the original sound space. Separate speakers distinctively create sound and improve directionality for immersive listening experiences, even in small spaces. DSEE HX™ upscales existing sound sources to near high resolution sound quality, making you feel as if you are really there at the recording studio or concert. Excellent adherence to the record’s surface minimizes unnecessary resonance for clean sound. 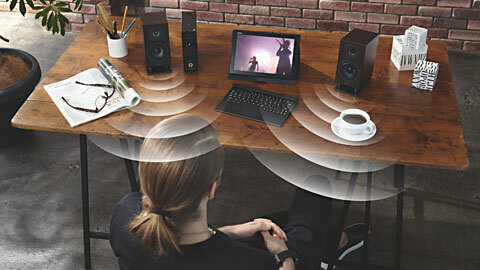 Easily position speakers for best listening point. Place separate speakers 75–200 cm away for optimal listening position. 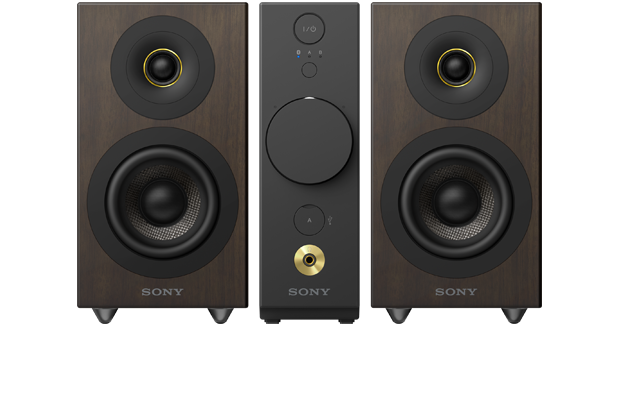 Included brass spikes let you adjust the speaker angle, and included speaker bases provide stable acoustics on any surface. The customized bass reflex port allows the compact speakers to reproduce deep, satisfying bass. 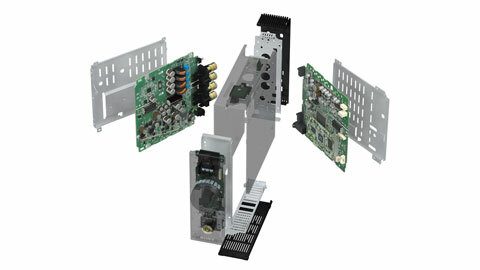 Brass spikes elevate speakers to dampen high frequencies and fix woofer-tweeter route discrepancy. 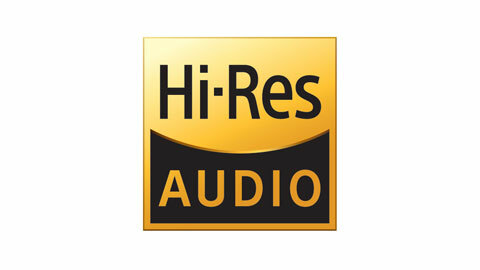 Technologies like Pulse Height Volume and Low Volume Mode ensure dynamic audio response even where other digital amplifiers suffer, at low volumes. 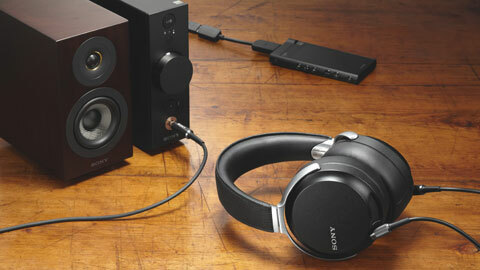 Adjustable gain lets you use your favorite headphones. Use HI/LOW to match impedance to headphone type. Quality metal parts for stable connections and less distortion. Mini plug socket for wide compatibility.